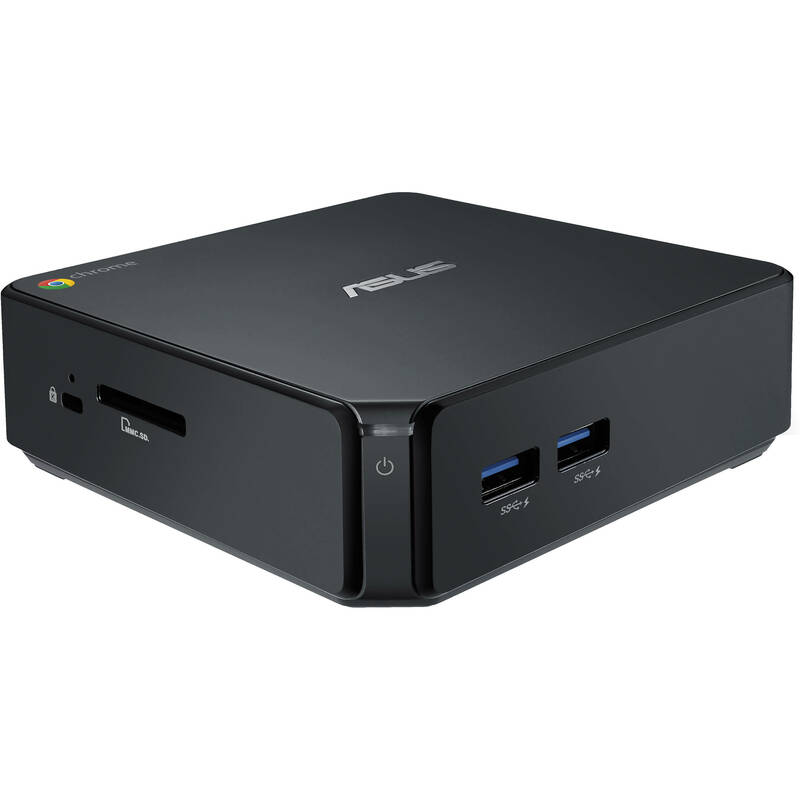 ASUS Chromebox is the world's smallest Chrome device, measuring just 4.9" L x 4.9"W x 1.65"H.
Who Would Buy This: The ASUS CHROMEBOX-M004U Desktop is great for those who want to upgrade their desktop PCs. With its newer features than similar products, the CHROMEBOX-M004U can help you get your computer tasks done in a faster and safer way. With an easy out-of-the-box setup, feature-enhancing updates and integrated virus and malware protection, the ASUS CHROMEBOX-M004U Desktop starts up in seconds to get you to your favorite apps and websites in an instant. In its box, it houses a processor that is powerful enough for ultra-fast multi-tasking performance in Chrome OS and has connectivity options where you can choose your own screen size and connect to multiple displays at once (even capable of being attached to any VESA-mountable monitor or HD TV. Though the CHROMEBOX-M004U may be the smallest Chrome device in the world, it is really big on connectivity, coming with a high-performance 802.11 n dual-band wireless, 4 USB 3.0 ports for quick data transfer, and HDMI and Display Port that allows you connect to the latest displays and HD TVs, including support for dual displays and an SD card reader for easy access to stored documents and photos. Also, it allows personalized access with parental controls, which make it the ideal family device. With it, you can easily switch between accounts, while ensuring each individual’s information is kept secure and private. For the parental controls, it can ensure safe and family-friendly web surfing. Allowing for a simpler and smarter digital life, this ASUS computer can give you a more beautiful web experience. It boots up in a flash and instantly synchronizes with your existing Chrome services, allowing you to get closer to the internet than ever before. It also comes with 100GB of free Google Drive space, which means you can access all your files and other personal data in the cloud by simply logging on to your Google account anytime anywhere. So, set back and relax as you browse the web, watch movies and other shows, or view images from your SD card. With an array of offline apps, the Chromebox also lets you play games, use popular apps and edit documents without a web connection. While the CHROMEBOX-M004U does seem capable of streaming HD content, it seems that most major suppliers of such content do not want to allow streaming of HD videos for anything built on Linux, which the Chrome OS happens to be. This means that this little box is limited by its OS, making it unable to reach its true potential at present. Nevertheless, there is huge possibility that this limitation is not intended by major content providers. Still, the Chromebox, as a little web-browsing box, Plex client, streamer of SD content from many sources and a simple productivity box, is really great though. 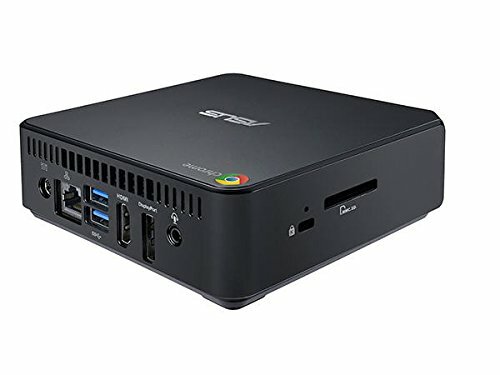 Though there are some stated downsides to the ASUS CHROMEBOX-M004U Desktop, it can be argued that they cannot outweigh the perks this product brings. It can definitely give you a good return on your investment.